Khentrul Lodrö Thayé Rinpoche was born in Eastern Tibet, where he is the abbot of Katog Mardi Tashi Choling Monastery. He took monastic ordination at the age of seven. Rinpoche studied and practiced under his root guru, His Holiness Jigme Puntsog Rinpoche. He also spent many years studying with His Holiness Katog Moktza Rinpoche at Katog Gonpa in Tibet, as well as for five years with His Holiness Penor Rinpoche at Namdroling Monastery in India. He received the degree of Khenpo (equivalent to a Ph.D.) from each of the three monasteries. During that time, Khentrul Rinpoche spent 3 years in retreat. His Holiness Moktza Rinpoche formally recognized Khentrul Rinpoche as a reincarnation (tulku) of Katog Druptopchenpo Namkha Gyamtso, a mahasiddha of the Katog Monastery. Thus he is called a khentrul, someone who is both a khenpo and a tulku. There are more than 300 monks and 100 children at Katog Mardo Tashi Choling Monastery for whom he provides food, lodging, an education a temple and other facilities. 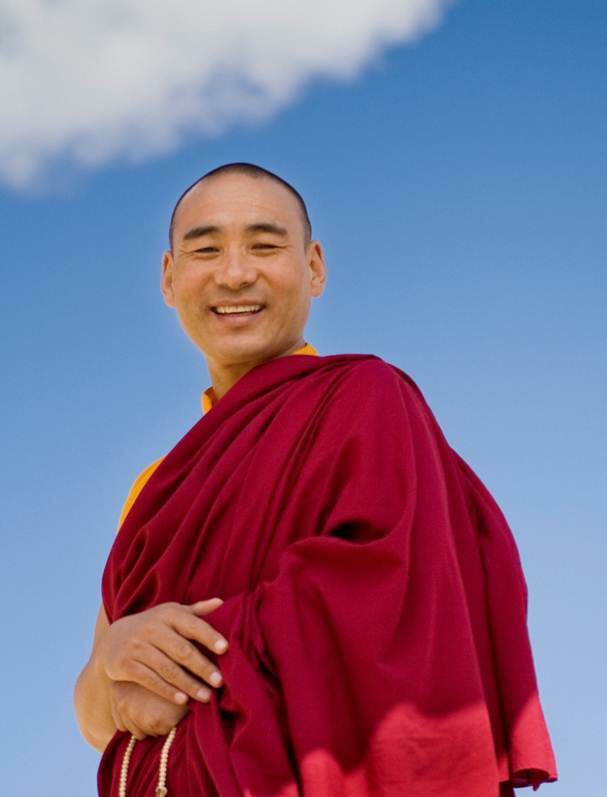 For more information about Khentrul Rinpoche's activity in the United States go to katogcholing.com.